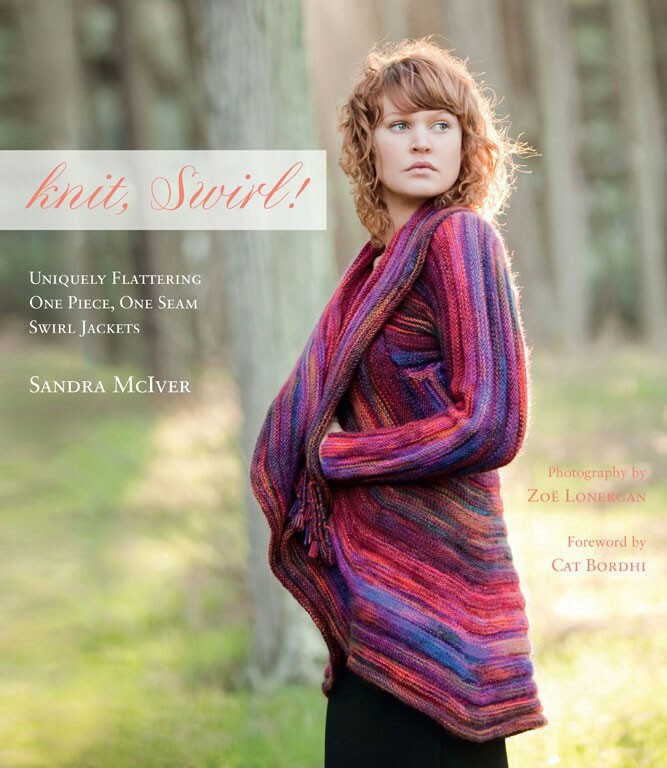 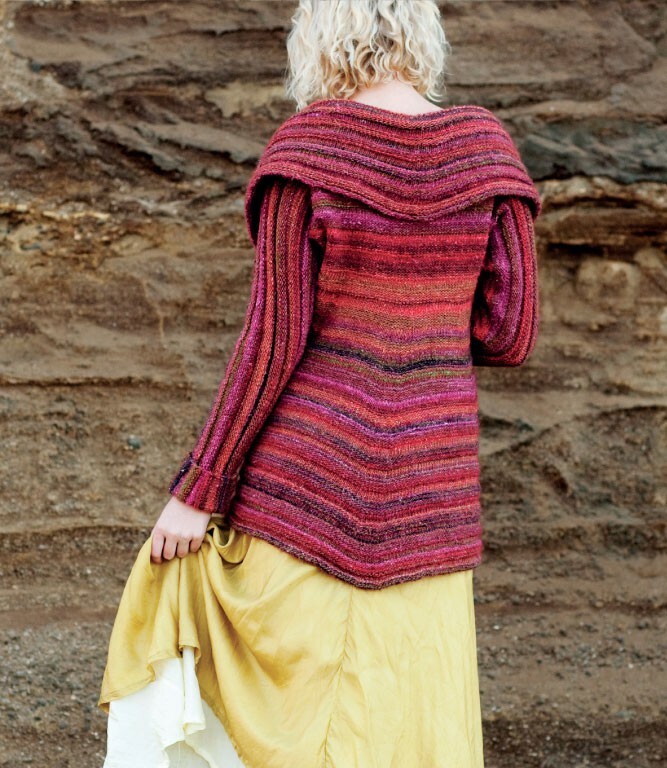 Within the lavishly photographed pages of her book knit, Swirl! 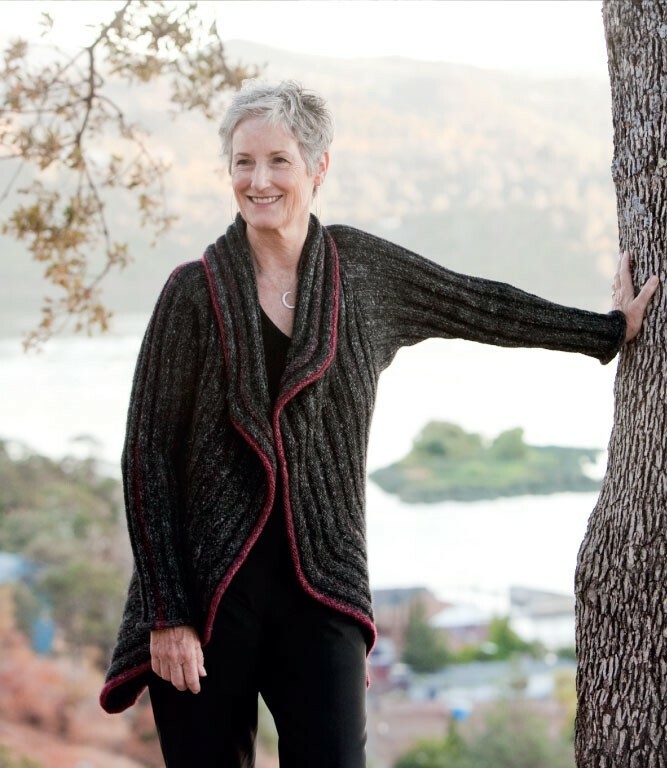 Uniquely Flattering, One Piece, One Seam Swirl Jackets, author and designer Sandra McIver presents 18 designs that flatter all figures, each based on the innovative one piece, one seam circular construction she calls a "Swirl". 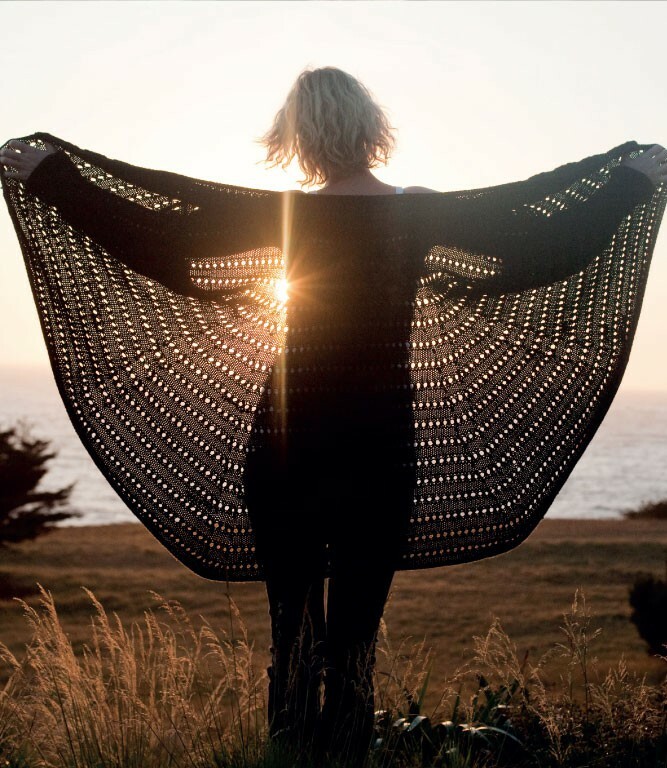 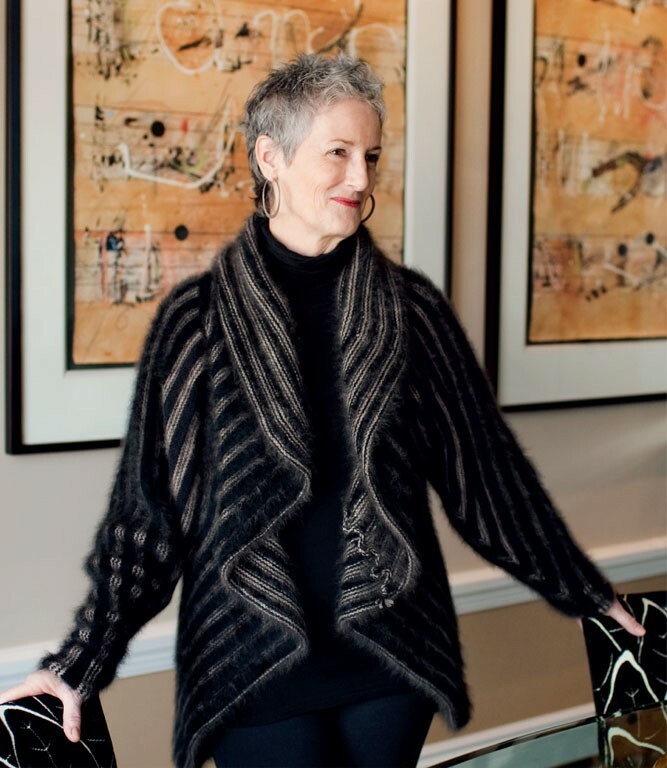 Using simple knitting techniques, she creates elegant sweater jackets in four dramatic silhouettes and three flexible sizes. 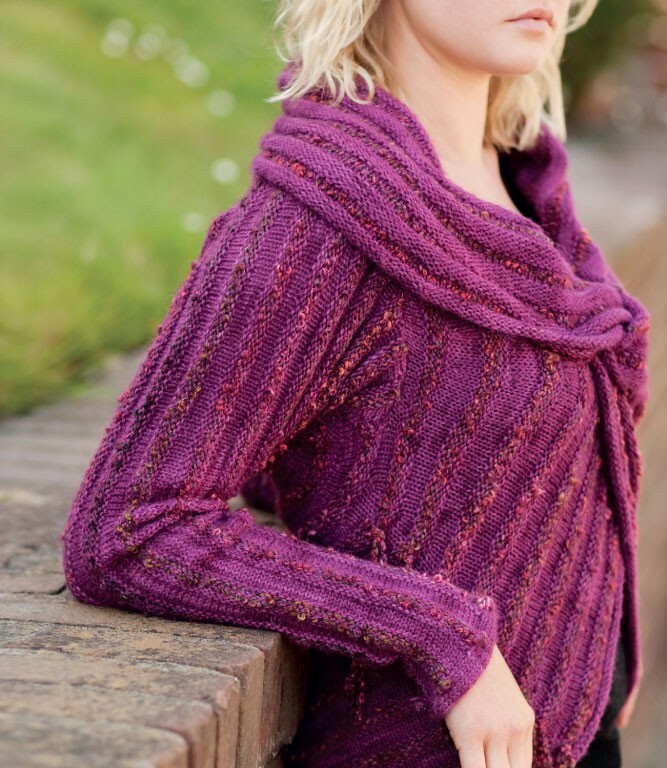 Swirls are fun to style and may be worn in a variety of ways—some even upside down! 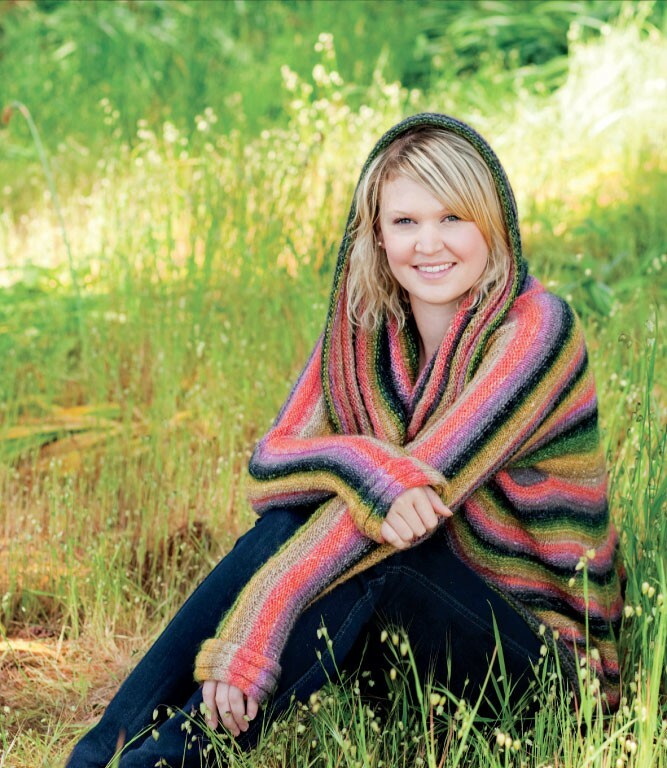 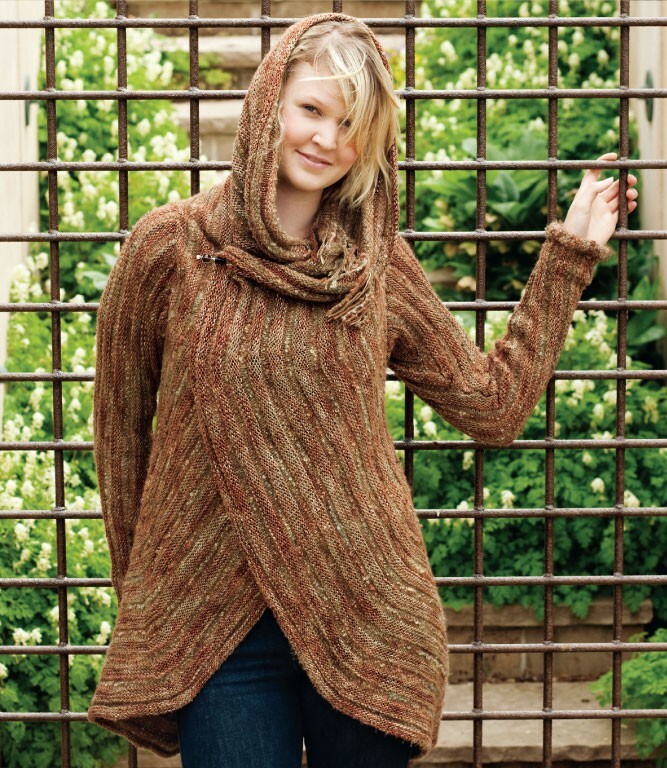 Clear step-by-step pattern instructions and detailed schematics make knitting a Swirl a simple pleasure.